Veganism isn't as difficult as some people like to make out - there's so many delicious meals and amazing foods out there that are all completely vegan, cutting out the animal products doesn't have to be tricky, time consuming or expensive! The one thing that can be a little tricky if you follow a vegan diet is eating at restaurants or cafes but there are a few simple tips I can give you to make dining out easy peasy! Preparation is key, right? Don't just turn up to the restaurant on the day with no clue as to what they can offer you. Hopefully you'll find a completely vegan dish to suit you but if not at least you're prepared to ask for modifications. If you've looked at the menu and you can't find any dish suitable it's worth ringing the establishment if they could modify any of the meals to suit your dietary requirements. Most restaurants/cafes are very understanding and will help in any way they can. Most countries have a law that it's a requirement for restaurants/cafes to supply an allergen menu that outlines the ingredients in every dish that could possibly harm someone with an allergy. Look out for any meals containing eggs and milk as these can sometimes be hidden in sauces or batters! Even if you don't have any allergies at all telling the waiting staff you're allergic to certain ingredients (like milk or eggs) makes them take you a lot more seriously. They'll inform the kitchen staff of your 'allergy' and every possible measure will be taken to avoid any contamination of your meal. Try taking your party to an all vegan (or vegetarian) restaurant, this way you'll be sure there's no animal products hiding in your food! I recently took a group of my friends to a vegan restaurant in Brighton called Rootcandi (review here) and they were all blown away with just how incredible the food was! Even the biggest meat-eaters said it was one of the best meals they'd ever had. 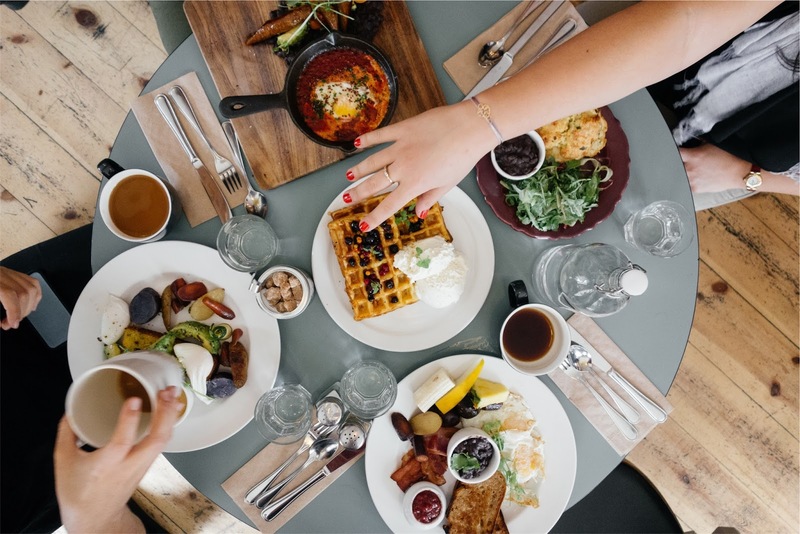 Eating a vegan or plant-based diet should be enjoyable, rewarding, exciting and delicious, hopefully these tips help you find ease when dining out! Now, go enjoy some vegan cuisine!